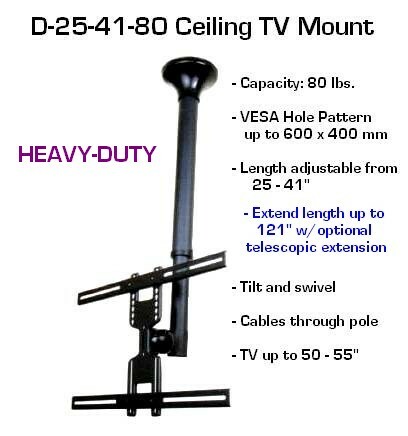 Protect your TV investment and ensure safety with this heavy-duty TV ceiling mount. 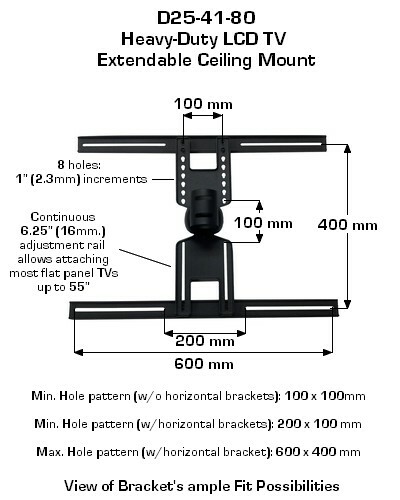 * Extra Long: extends from 26" to 41" (3.5 feet), in 4" increments = 26"; 30"; 34"; 38" & 41". 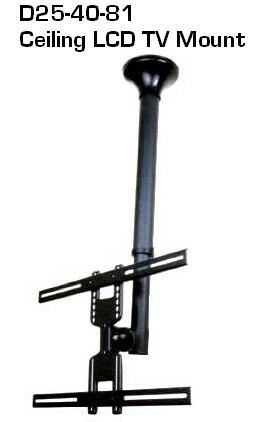 * Optional extension pole to drop down to 121" (10 feet), in 4" increments. 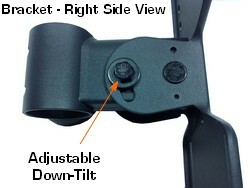 * Fits most TVs from 26" to 60"
* SUPER Sale Price: $98.00! 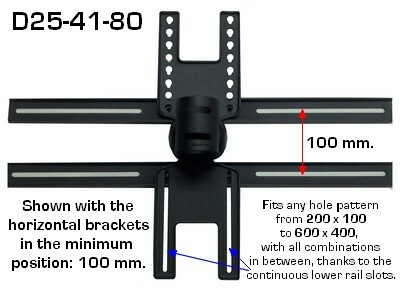 + $45.00 Shipping Ground contiguous U.S.
For TVs up to 80 lbs. Various VESA hole patterns, up to 600 x 400 mm. 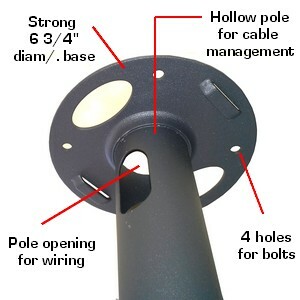 a) D25-41-80: 26; 30; 34; 38; 41"
b) D25-41-80 + Optional telescopic Extension Pole: adds an extra 80", in 9 adjustment points, in 4" increments = maximum length of 121"
By adding "b" (Extension Pole), you will take the length from 41" to 85" (41 + 44). 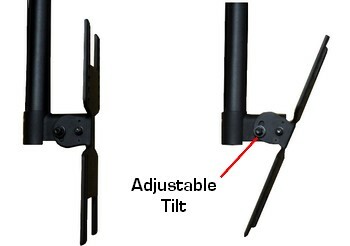 Then you can further extend the extra pole within 9 additional settings, in 4" increments: 89/93/97/101/105/109/113/117/121" maximim. If added with "a)" at 26" (not extended): 70/74/78/82/86/90/94/98/102/106" lengths. Any combinations in-between are possible.